I have no excuse for not blogging images of my darling Will other than I have been busy being his Mama! These past 7 months have been the fastest, hardest, sleepiest, silliest, most wonderful, loving, and joyful of my life. My heart explodes every day with love for this little guy. Does anyone else watch videos of their babies after they put them to sleep because they miss them already? I am thankful to be home with Will, but it has been fun dipping back into photography work the past few weeks. I think it is important for me to have an outlet, and getting back to work has been a healthy one. 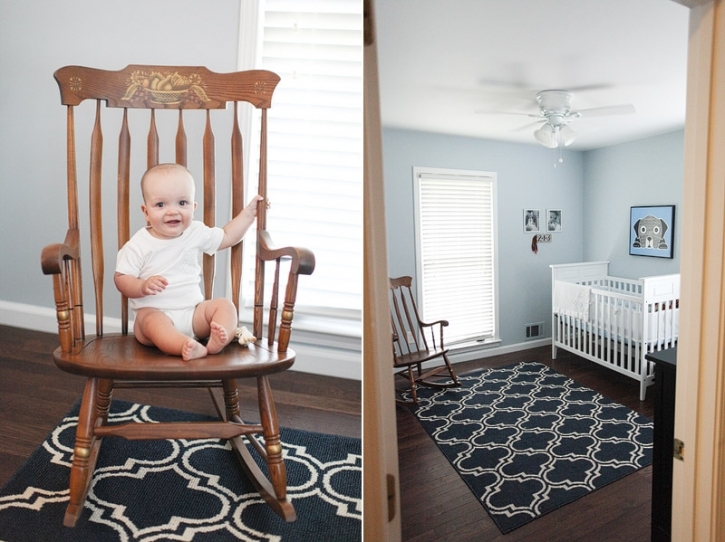 I was asked by XOve Baby to share some images of our nursery for their blog and I thought it would also be a great way to introduce Will on my blog! 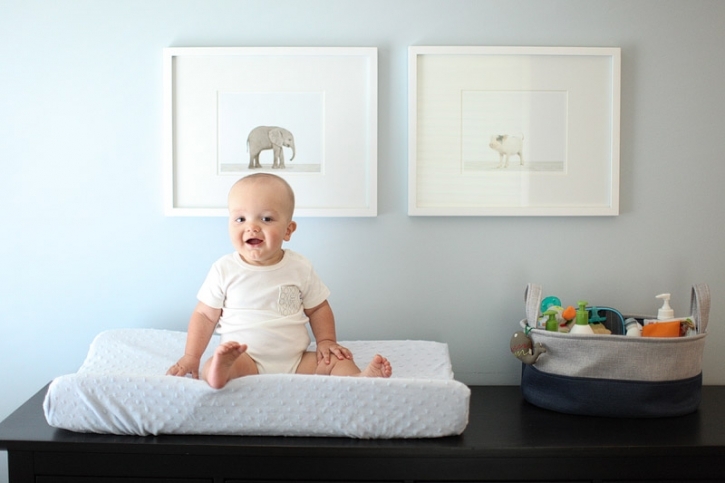 We love our XOve Baby swaddle blankets and onesies. I am not kidding when I say I have literally used their blankets for everything! Their onesies are super soft and have been great to wear all summer as well. Our nursery did not have a “theme” so to speak, but we decorated it as we have our home. Each item is special because it has a story or connection. Our rocking chair is the same one my mom used to rock us as babies, the copper pot we use for blankets is from my Great Aunt Alice, and the bookshelf holds some special items from friends and family. The animal prints above the dresser are real baby animals photographed by Sharon Montrose. 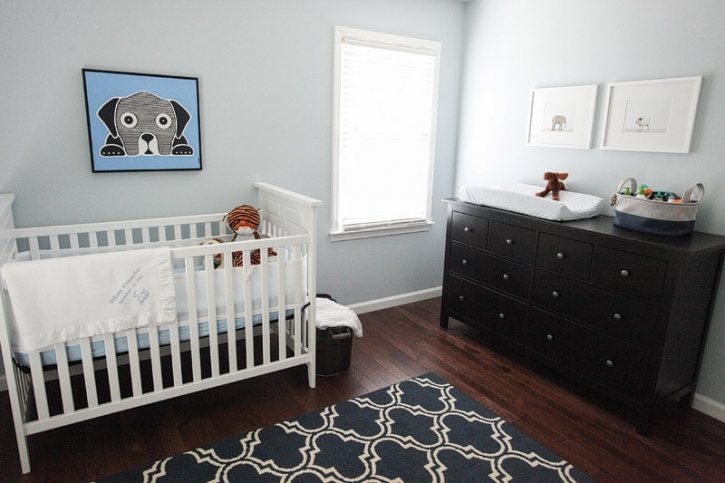 The puppy painting above the crib is an original piece by Suzie Eifrid, that Will smiles at every day! There are even original pieces from his Dad and Gram! Magnolia is very fond of Will and she is my shadow, so I could not leave her out of our photo shoot. I am sure that Mason was close by, but he is not as interested in being attached to my hip. Our pups have handled the new baby so well! Maggie is not afraid to be up close and personal, licking Will’s face and laying close at all times. Mason is the guard dog, more interested in guarding the hallway while we play in his room. I have noticed Mason starting to bring Will his toys…I know once he can play with him they will be best buds! THanks for checking out our nursery, and be sure to check out XOVe Baby for great baby gift sets, or pick up a blanket for your little one! You will be hooked!